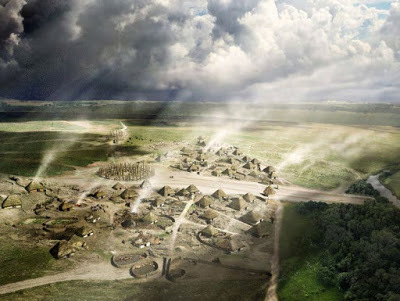 A team of archaeologists at the University of York have revealed new insights into cuisine choices and eating habits at Durrington Walls — a Late Neolithic monument and settlement site thought to be the residence for the builders of nearby Stonehenge during the 25th century BC. Such spatial patterning could mean that milk, yoghurts and cheeses were perceived as fairly exclusive foods only consumed by a select few, or that milk products — today often regarded as a symbol of purity — were used in public ceremonies. The main methods of cooking meat are thought to be boiling and roasting in pots probably around indoor hearths, and larger barbeque-style roasting outdoors — the latter evidenced by distinctive burn patterns on animal bones. 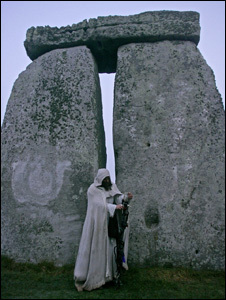 Professor Mike Parker Pearson, Professor at University College London and Director of the Feeding Stonehenge project who also led the excavations at Durrington Walls, said: “This new research has given us a fantastic insight into the organisation of large-scale feasting among the people who built Stonehenge. Animals were brought from all over Britain to be barbecued and cooked in open-air mass gatherings and also to be eaten in more privately organized meals within the many houses at Durrington Walls. The study has been published in the Antiquity Journal.